Rachelle Peart’s latest product has grabbed lots of attention. ‘The writings on the wall’ is selling and producing lovely feedback and reviews from the customers. A lot of work has gone into this book. This is worth checking out. They are at it again. A brand new product has been released. The new book called ‘The writings on the wall’. 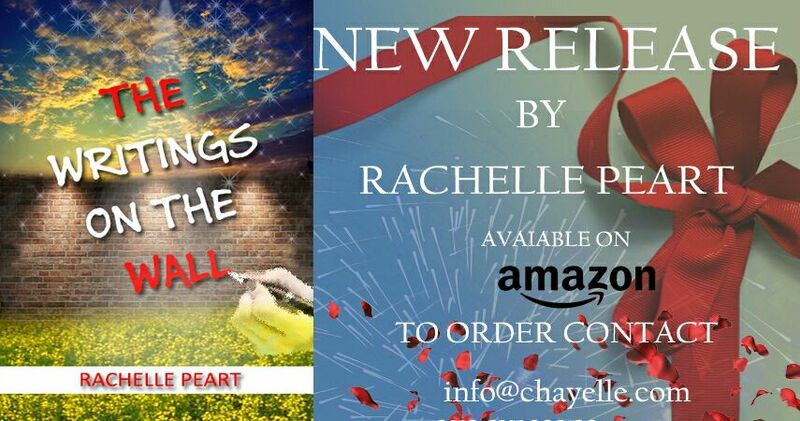 The description says, “The writings on the wall is a collection of poems that is divided into six parts focusing on the love God has for us…” They also have multiple services and products available so check them out. Captivating, motivating, inspirational! A book with a difference. Quite unique. It takes you on a journey; reminds you that there’s a HIGHER BEING. A BEING so great He can fix anything, rearrange things, transform things, extend lives, heal the most chronic and acute illnesses. This book empowers you, and before you know it, you start to believe that you can fly- yes fly. An ordinary woman was ordained to spread supernatural words- to simply make a difference. That’s simply “The writings on the wall”.